Friday-Monday Feb 12th-15th: I will begin with my running. I ran 8 on Friday, 10 on Saturday and 8 on Monday. The smog and inversion has been so bad the past couple of weeks! Very hard to breathe! 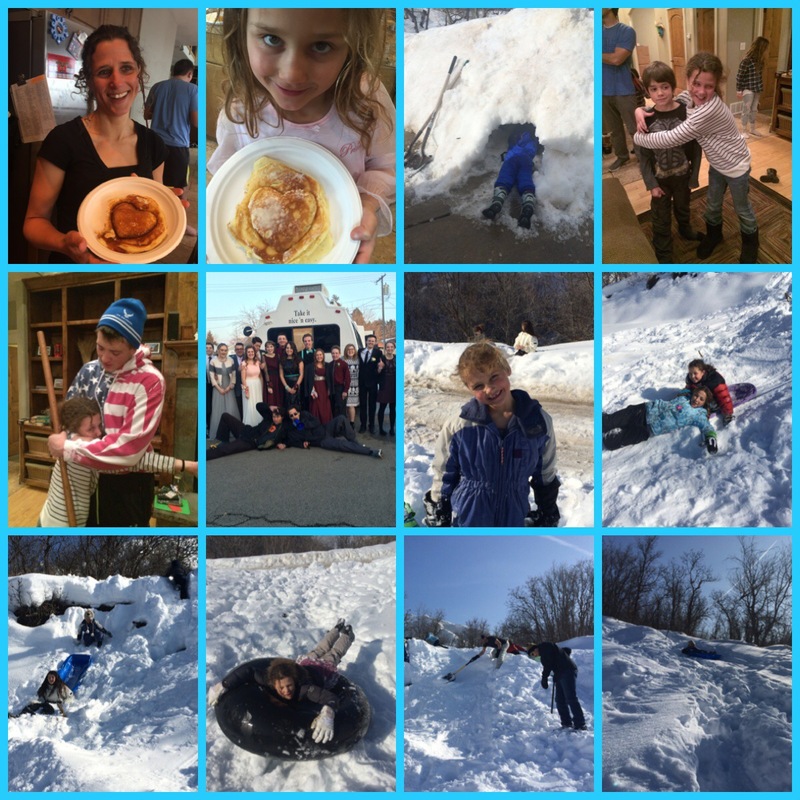 The kids and the cousins had fun playing in the snow, hanging out and just being around all weekend. 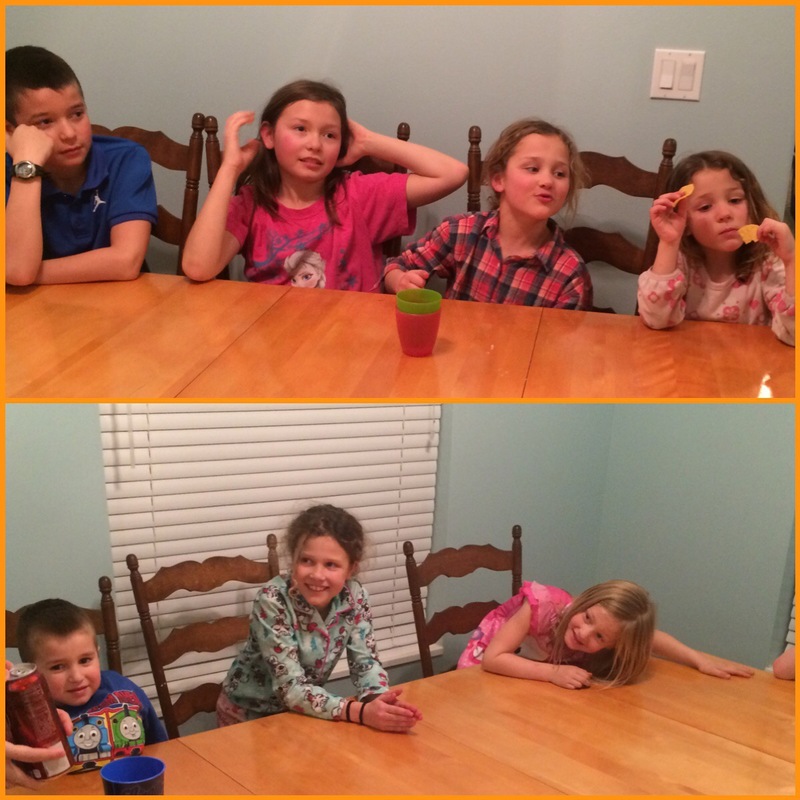 The family left Monday morning… That evening we went to a families house for dinner and family night. 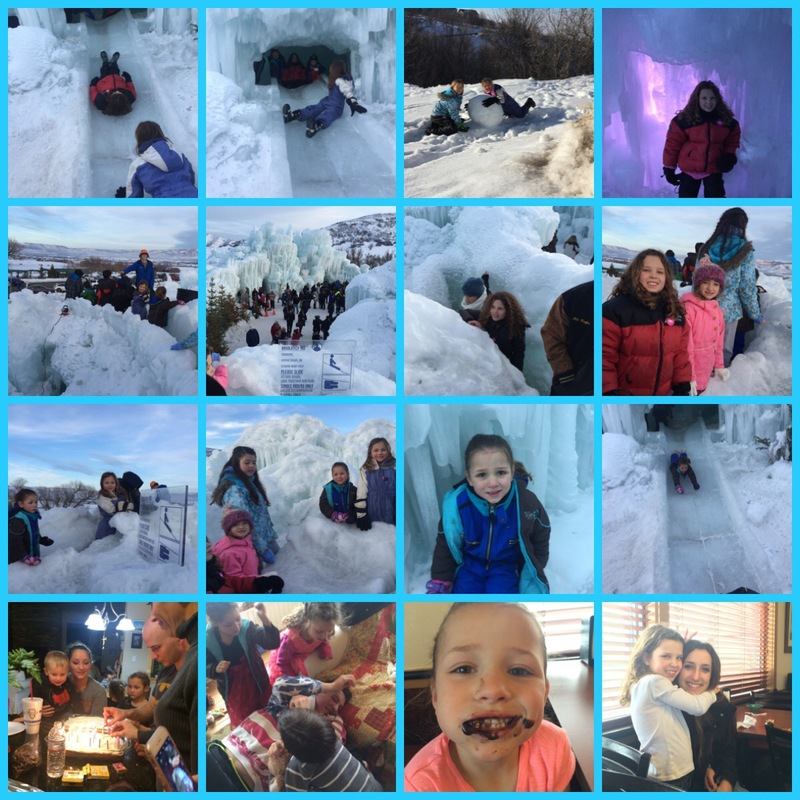 Great family and a lot of fun. 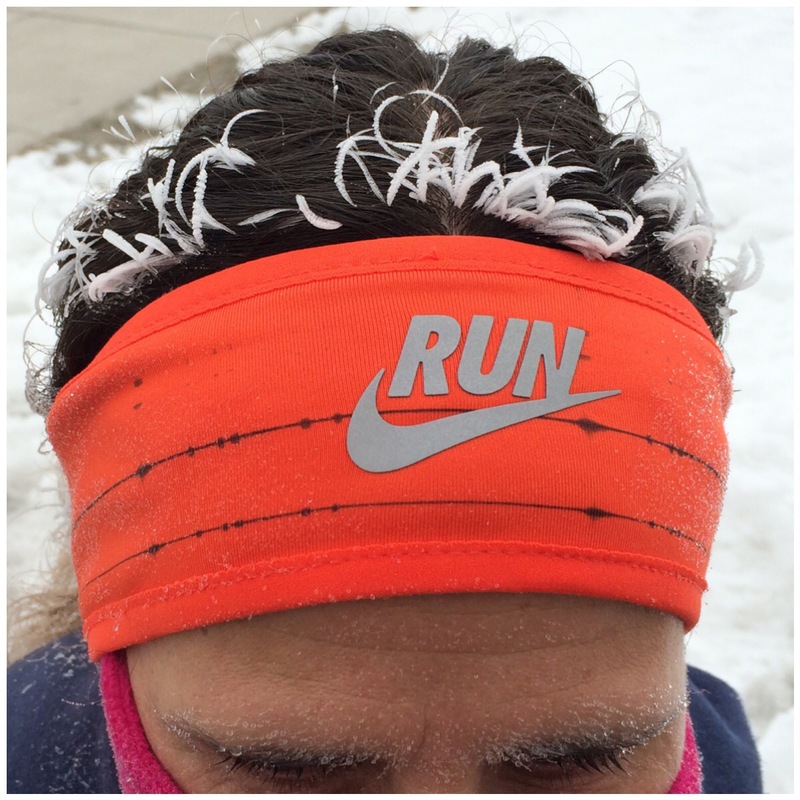 Tuesday Feb 16th: I went out for an 8 mile run. It felt great and the air was finally clean! 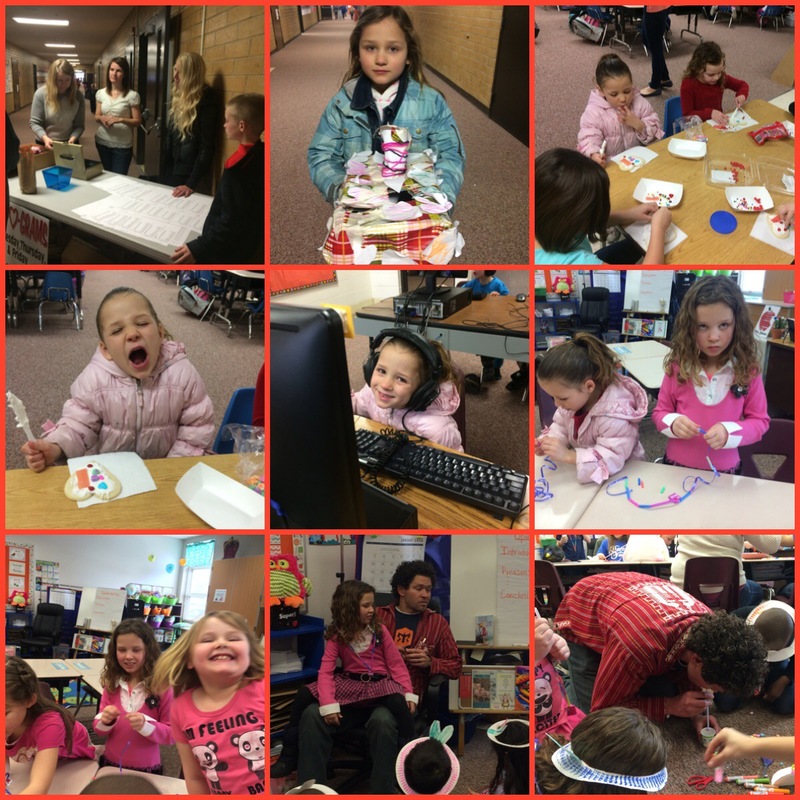 I did sub today for my 2nd daughter’s 2nd grade class. 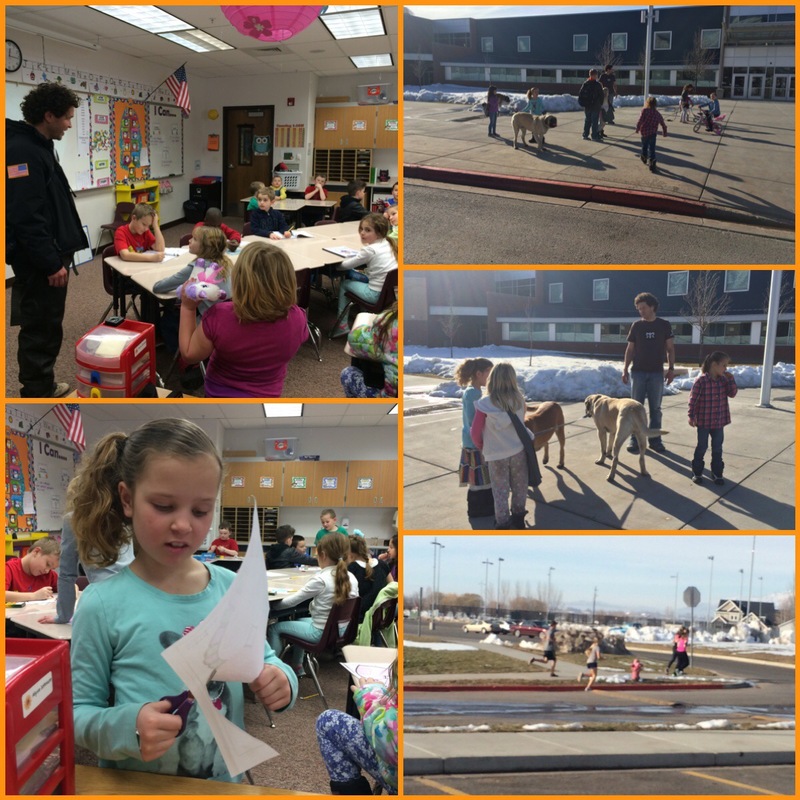 Corom stepped in for a few minutes and of course the kids loved it! He took my youngest home (after kindergarten) and took her on a bike ride. We all met up (my 3 older kids, the kids I take home from school, Corom and my youngest-and our 2 dogs) at the HS. They walked home and I stayed there for track. I sent the HS kids off on their distance run and then went home. There were the normal church meetings tonight for Corom so just the usual tonight. Wednesday Feb 17th: I went out for another 8 mile run. I felt lousy today. It was not a good run! Oh well, it happens. 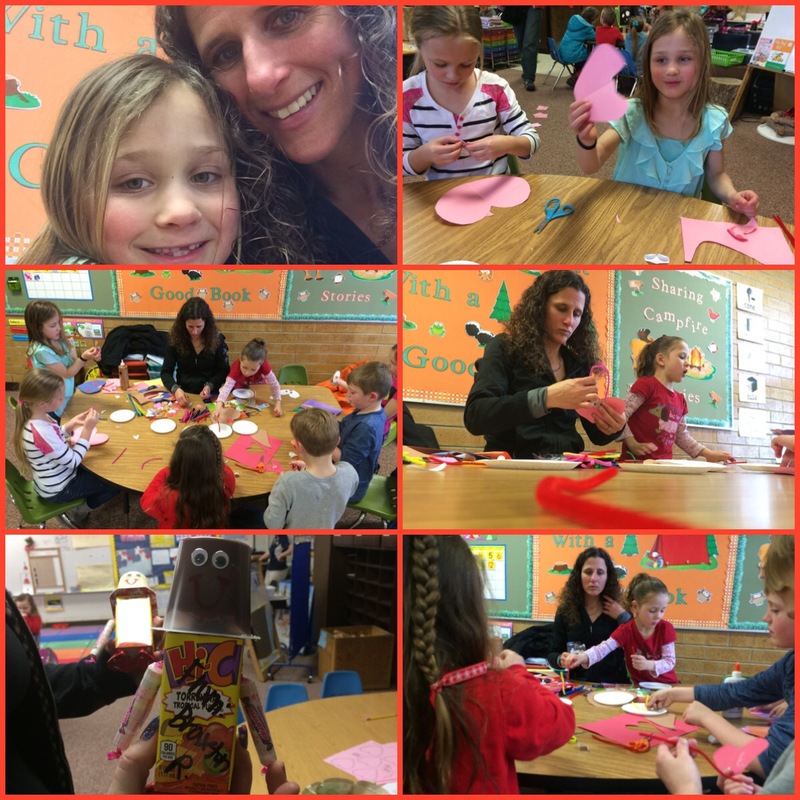 Today was errand busy and we went on RS visits before my kindergartener got out. A few moms met up at Carl’s Jr. for lunch and to let the kids play. 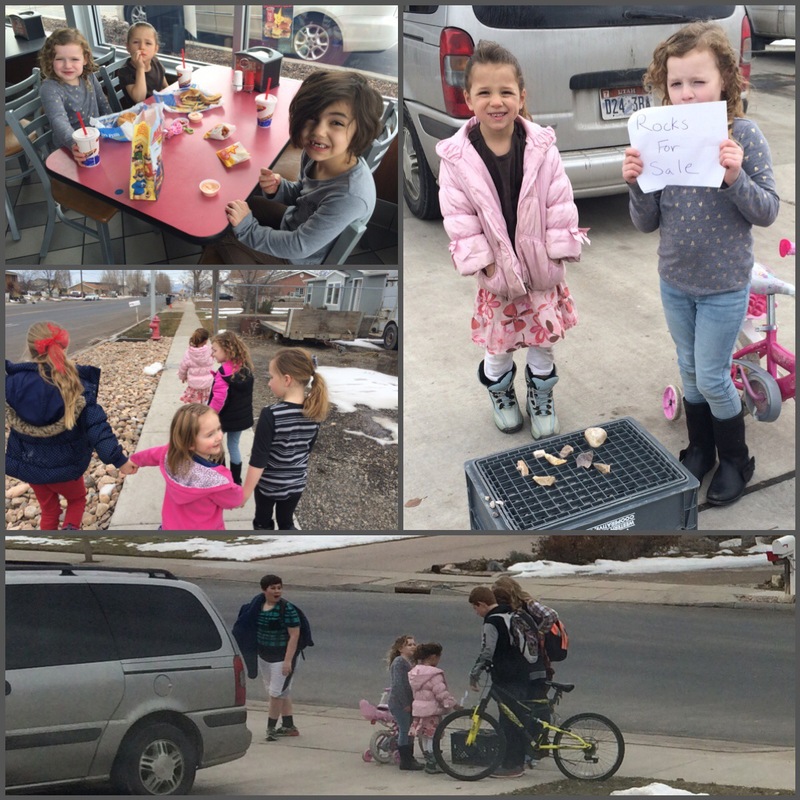 My youngest and her neighbor friend sold rocks to the Jr. High kids… They actually made a little over $2 just from some really nice kids. 🙂 After we picked up the girls from school, we walked them to Activity Day’s. 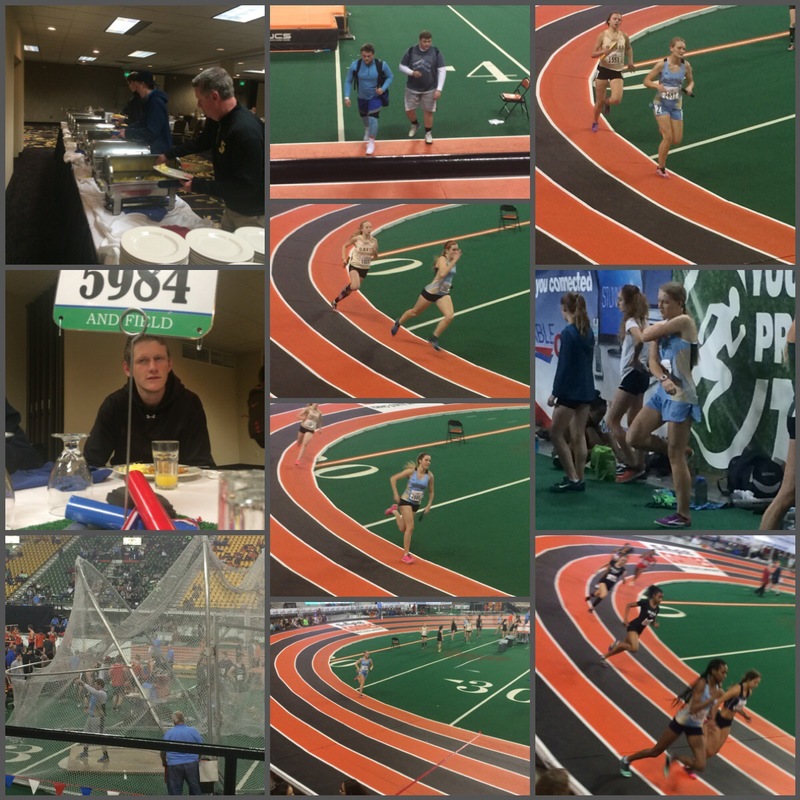 Thursday-Saturday Feb 18th-20th: I headed up to Idaho with the track team for The Simplot Games. Of course my 2nd child starts throwing up last night… Corom worked a half day and took over while I had to leave. She felt so much better but we didn’t want to send her to school just in case. The weekend was a blast! We shared a bus with one of our rival schools and it was so good for both teams. 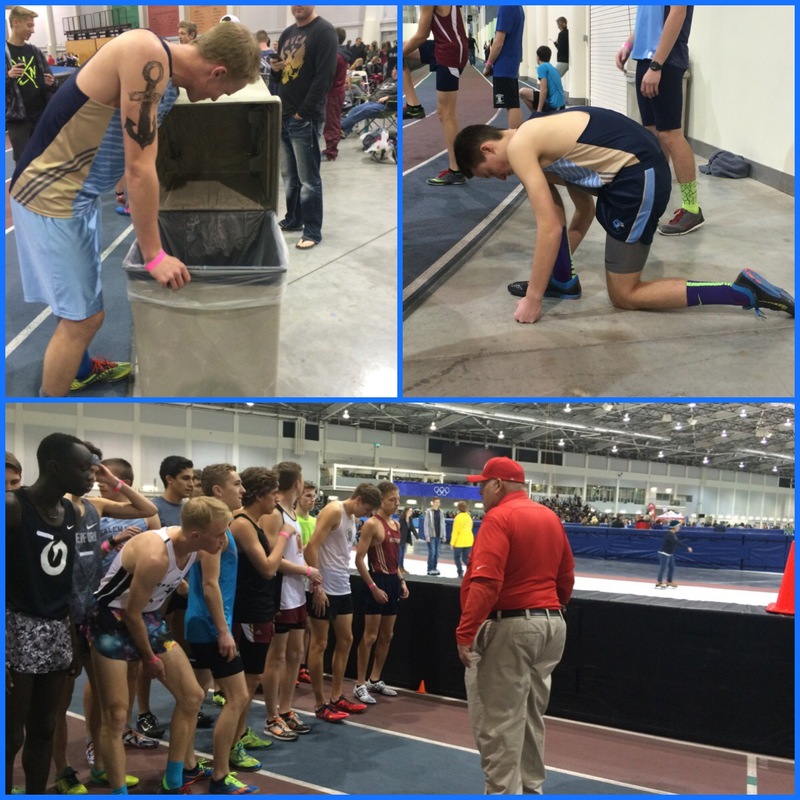 Great performances by the distance runners and by everyone on our team actually! 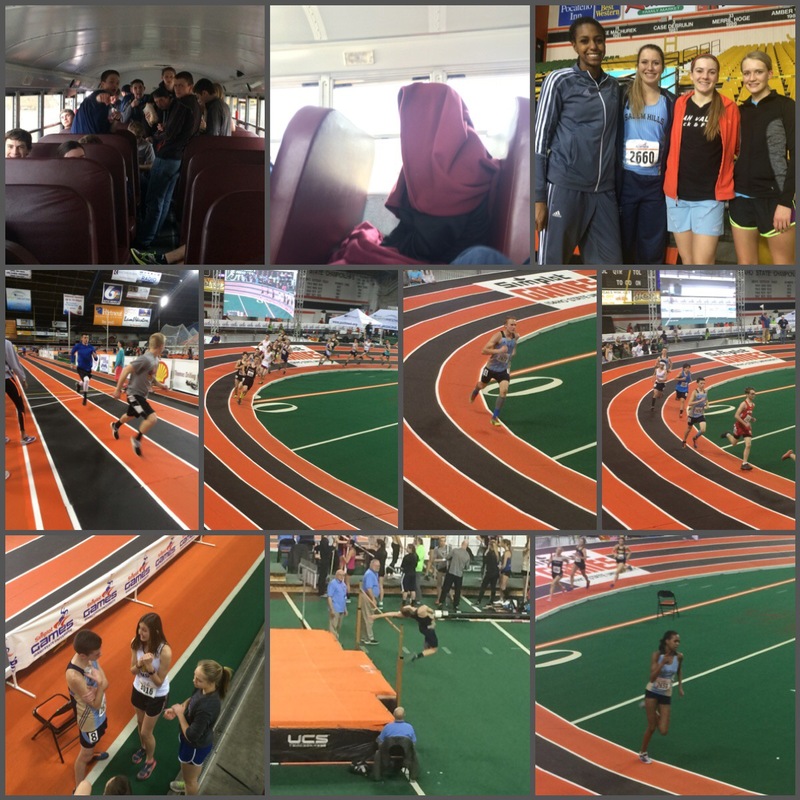 Many of our athletes made it to finals after their prelims performance and many more PR’d. What made the trip even better was having my family come on Friday evening. 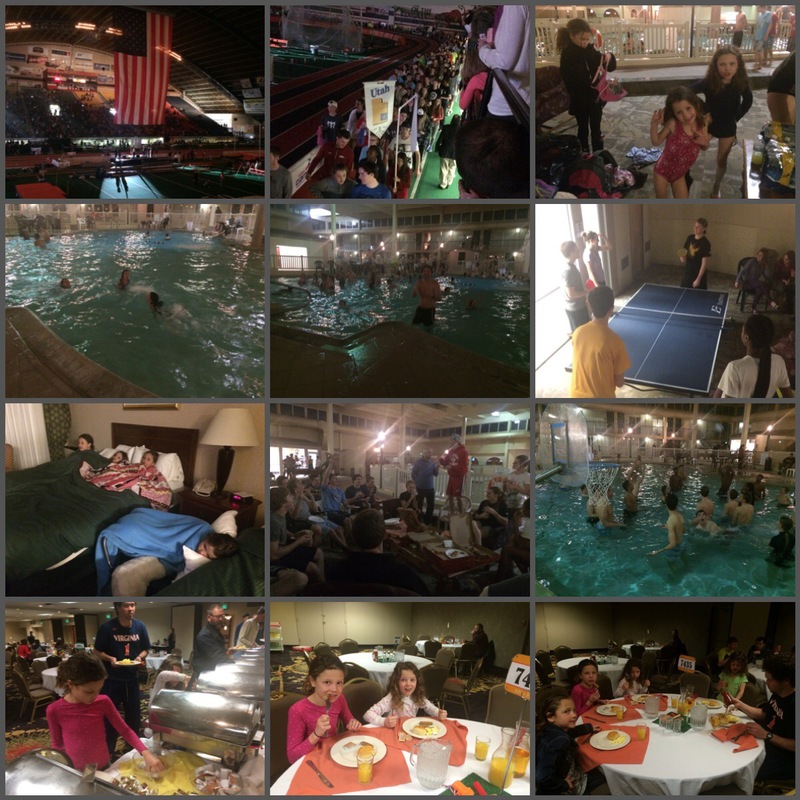 My family (the other coaches family came) and the team had our pizza, swim and game “party”. It was nice having the kids and Corom up there. They came to the meet for a little while…I had the opportunity to meet a few Olympians there (they stayed at the same hotel). Carl Lewis was one of them that came, so it was neat seeing him. Corom took the 3 younger girls and one of the daughters of the other coach home with him. My oldest stayed and rode the bus home with me. It was a fun trip back. Sunday Feb 21st: Corom and I both had church meetings this morning and then went to church. After we went to our families house for dinner. It was really nice visiting with them! It’s been a while. Rock and I were talking about this post earlier tonight. He didn’t realize there were such air quality issues where you were. 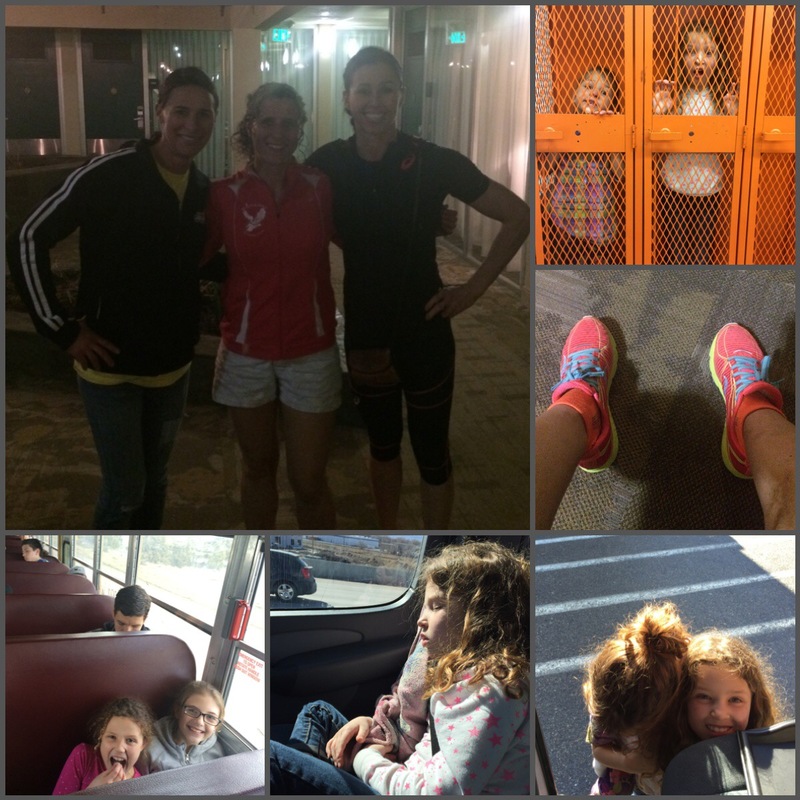 I honestly never knew until I was reading another blog from a runner in SLC. What a major bummer and to think it would be during winter mystifies me. I guess I always just assumed Utah and SLC areas were so beautiful and pristine. Glad it is clearing up a bit! Oh it was bad for a while. The air just gets stuck in the middle of all the mountains.